Without a flashy sign, Restaurant Mercuri is situated in a red brick building that was built in 1911, which was the former McClary Manufacturing Company. Locating on the corner of rue Wellington and rue des Soeurs-Grises in Old Montreal, Restaurant Mercuri is the rising star of the neighborhood. 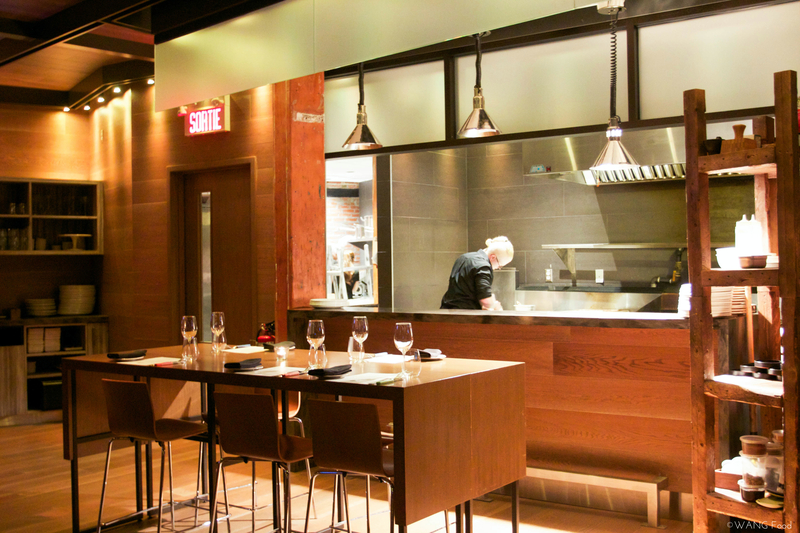 Chef Mercuri has been in the Montreal food scene for a while. His first restaurant, Brontë, had won EnRoute Magazine’s “Best New Restaurant in Canada” award soon after the opening in 2004. Moreover, just few days before the MTL à Table begins, he had been awarded the Diploma di buona cucina from the Accademia Italiana della cucina. Chef Mercuri is the third recipient of the award in Montreal. I could not be happier and looking forward to try his cuisine. 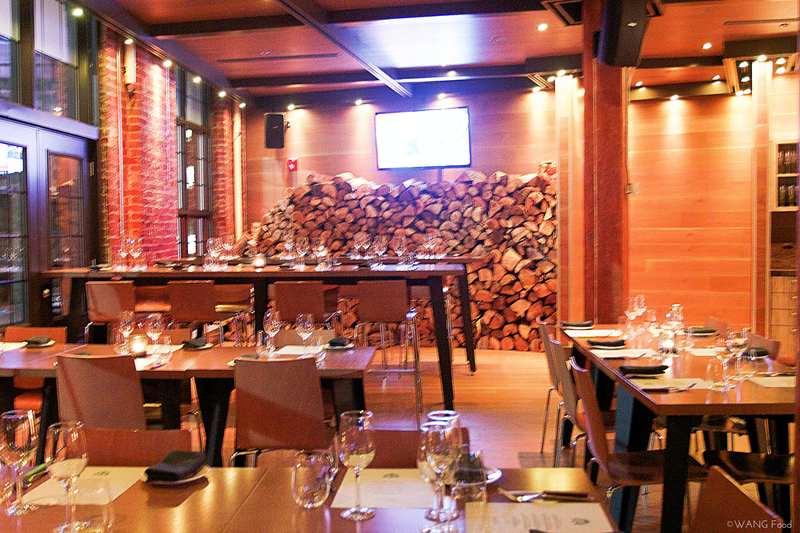 One of the main features of the Mercuri is its impressive open wood fireplace, which is situated at the middle of the restaurant. It’s the “first of its kind” in Montreal. 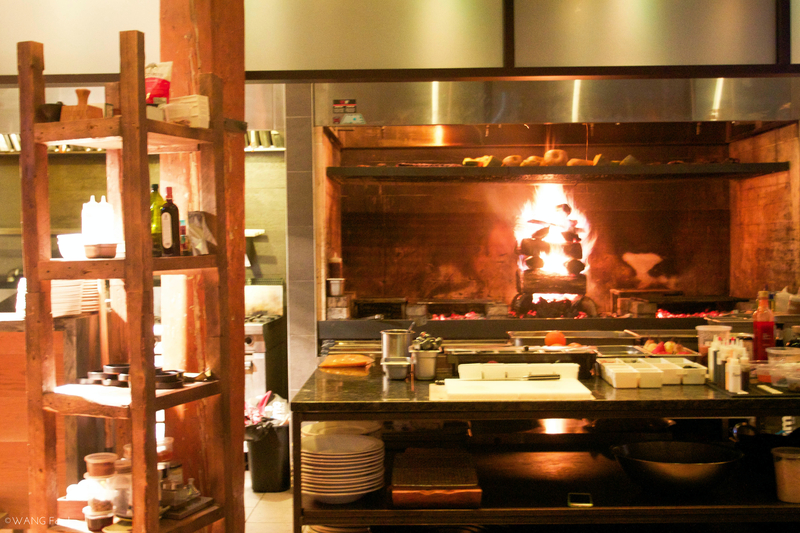 The fireplace warms up the entire restaurant, as we were sited right in front of the fireplace, I could feel the heat. This is my favorite corner of the restaurant. In contrast with the rustic and contemporary decor, this corner has a sense of zen and peacefulness. 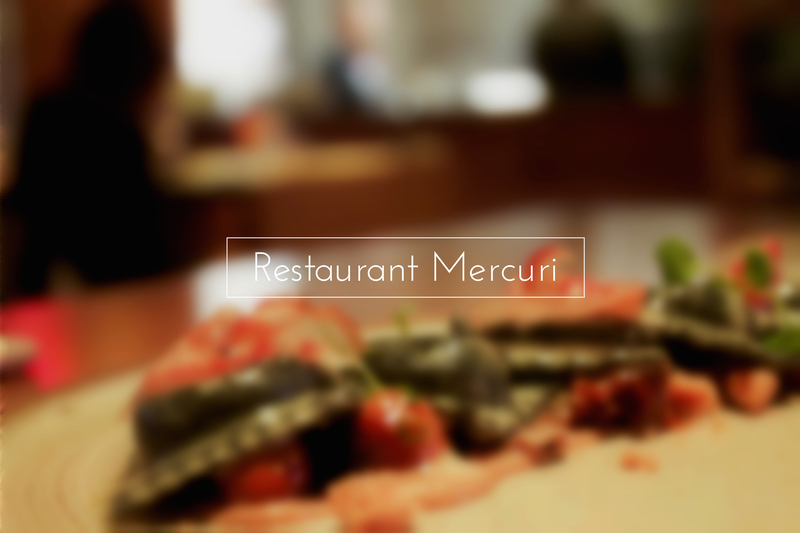 The restaurant is spacious, which it is normally split into two spaces: a fine dining spot and a casual dining spot, hence the Bar Mercuri. 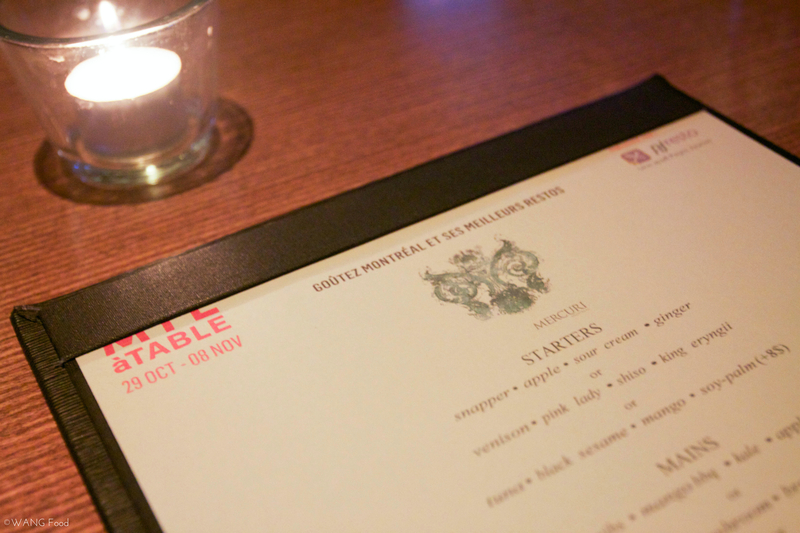 Mercuri also offers regular menu during the period of MTL à Table, which is a relatively eclectic menu. However, as my friends and I were there for MTL à Table, we settled for the options that were provided. Without further due, let’s proceed to art pieces of the chef. The bread was brought to the table soon after we ordered. They were served warm. The crust was so crispy, and full of sesame fragrant, while the inner part was airy, but fluffy and chewy. However, it was too buttery and greasy for my taste, but my friends loved it. Starter: Snapper, apple, sour cream, and blue ginger – Since the menu only listed the ingredients, I had no clue or expectations of how the food is going to be prepared. The snapper is served in sashimi-style. The thinly sliced snappers were fresh, and with a hint of sweetness from itself. 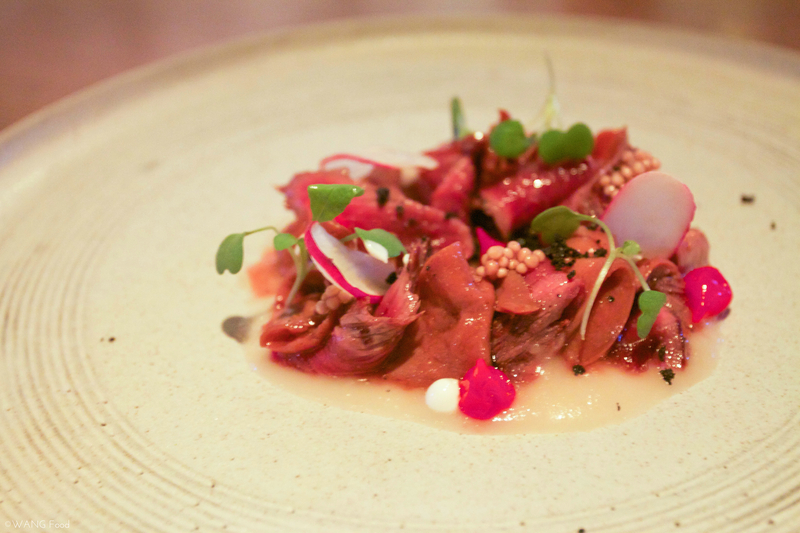 Starter: Venison, pink lady, shiso, eryngii (king oyster mushrooms) – Venison is the meat of a game animal, which is often referring to deer. One of my friends decided to be adventurous, hence she opted for this. I’ve never had deer before, but I decided to give it a try as she kept saying how good it is. I would’ve regret if I didn’t try it! The meat was thinly sliced, and the level of doneness is almost rare. It was so tender, and the texture is just almost like the mushroom. The sauce is sweet, with a bit of Asian/Japanese aspect, which masked the gamey taste of the meat. This plate was definitely a surprise. 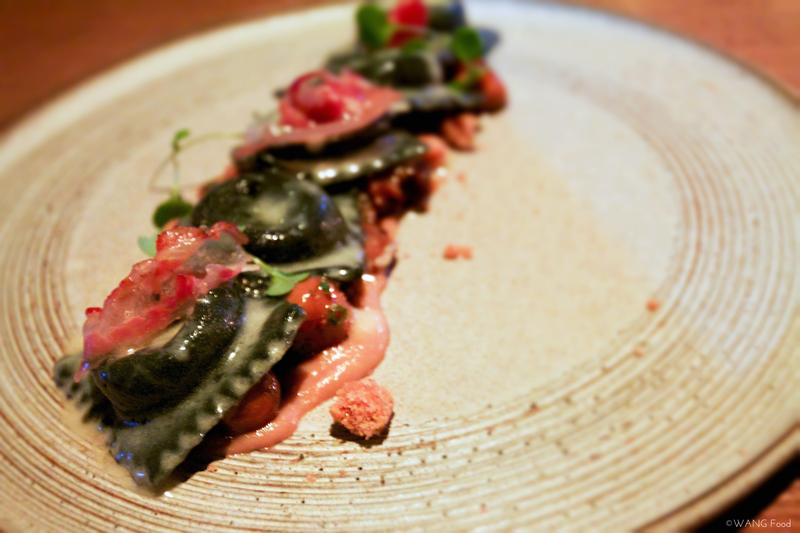 Main: Ravioli, ash, oyster mushroom, brown butter, pancetta – Since I’m not a meaty person, I already set my mind for ravioli when I saw the menu. 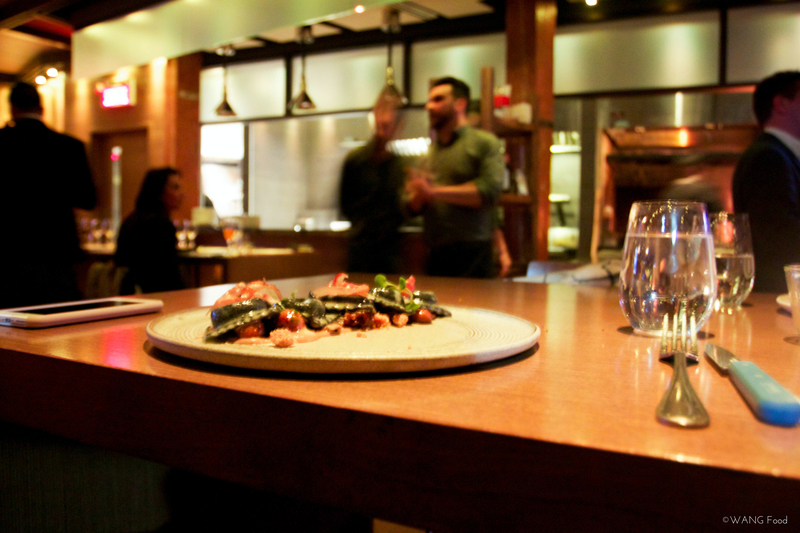 As Chef Mercuri came from the Italian background, there’s nothing more suitable than ordering an Italian dish. The ravioli were filled with ricotta cheese (I believe..), and the wrap was cooked to al dente. The pancetta were as thin as a paper, which added a bit of crisp to the entire dish. The only downside of the dish was the quantity. It was too good to just have five! Main: Ribs, mango BBQ sauce, coleslaw, grilled potatoes – Time to get your fingers dirty. 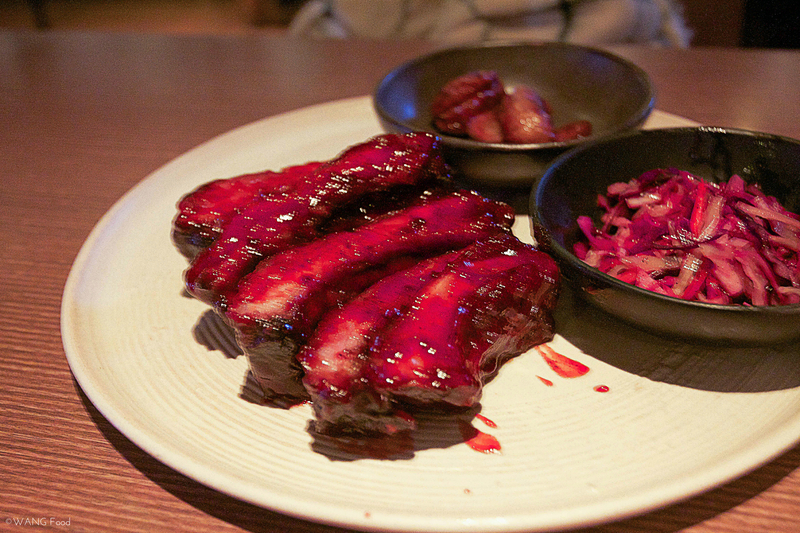 These ribs are coated with mango BBQ sauce, which was sweet and with a subtle spiciness. The coleslaw was unique, in which that made us starting to guess the ingredients. Unlike the regular coleslaw, which is just sweet and sour, the coleslaw at Mercuri had a really strong aroma of ammonia (just like nail polish!) that spread in my mouth immediately, but soon faded away. It was really special (in a good way). However, the ingredients of the vinaigrette is “secret” (we’ve asked the staff), therefore, this question remains as a mystery. 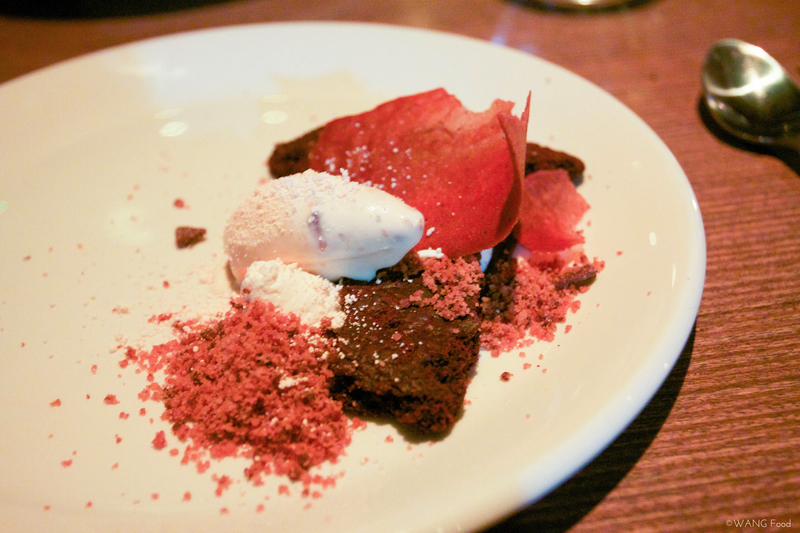 Dessert: Apple, oatmeal, stout, smoke – The sorbet was a refresher after the meal. The crumbles weren’t over sweetened, and the stout foam was definitely a great addition to the dish. 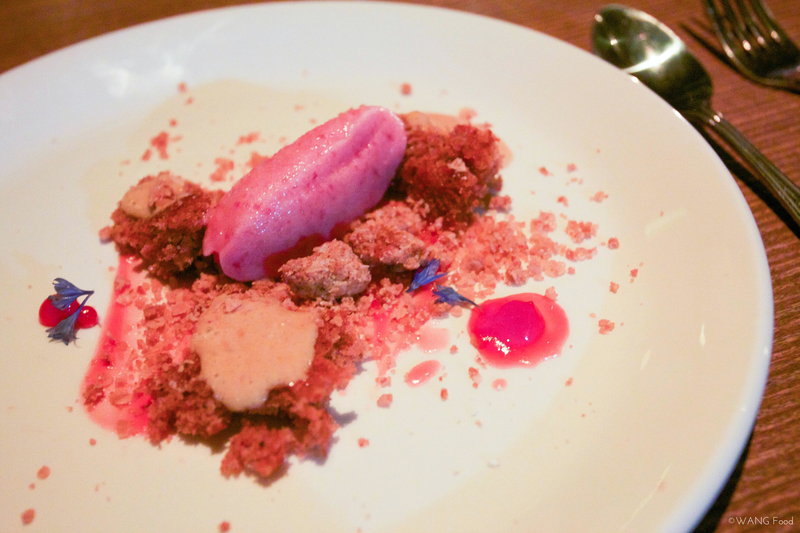 It enhanced and contrasted the sourness from the sorbet. Dessert: Cookies, cream, malt, macadamia – My friend opted for this, which we all agreed that this is better than the other. The macadamia ice cream was creamy, and nutty. The chocolate cookies were a bit bitter, which perfectly balanced out the sweetness of the ice cream. Overall, it was a pleasant and comforting experience. The waiters/waitresses were friendly and attentive. The quality of food is top notch. The combination of the food, ingredients used, and plating are unique and harmonic. I could feel that lots thoughts were put in when creating each dish. 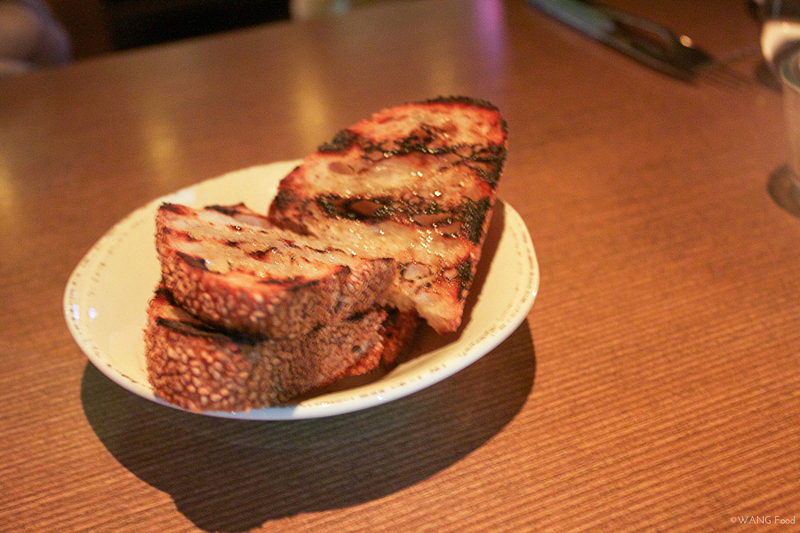 Chef Mercuri was in and out of the kitchen through out the night, and was really friendly. I spotted him as soon as the dinner service begins, as he’s always wearing a bandana in the photos that I saw previously. Moreover, he always said “Bon appétit” to us after each plate is served. Born and raised in Montreal, Chef Mercuri claimed his style as “Montreal cuisine”, which it’s a combination of different cultures, just like the multi-cultural diversity of Montreal. 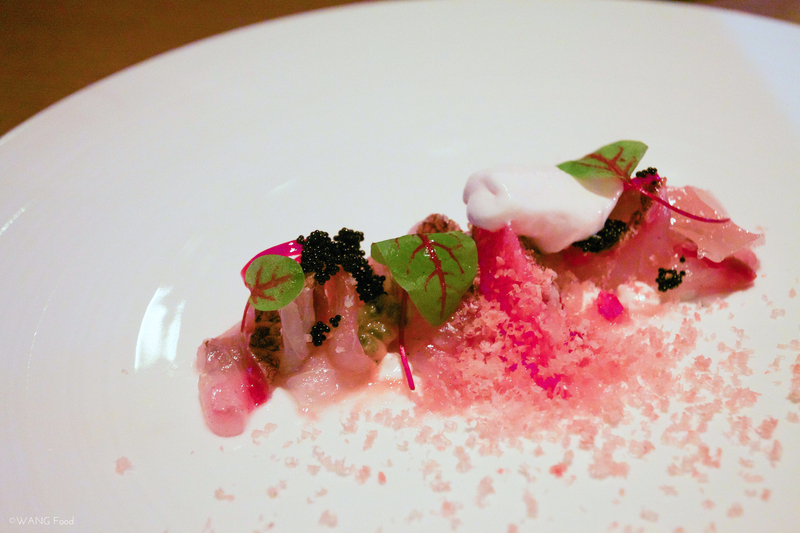 Instead of following the current food trend, “eat local”, Chef Mercuri also work with the “seasons of the world“. This entry was posted in "Eat"away, Montreal and tagged Fine Dining, Montreal, MTL à Table. Bookmark the permalink.